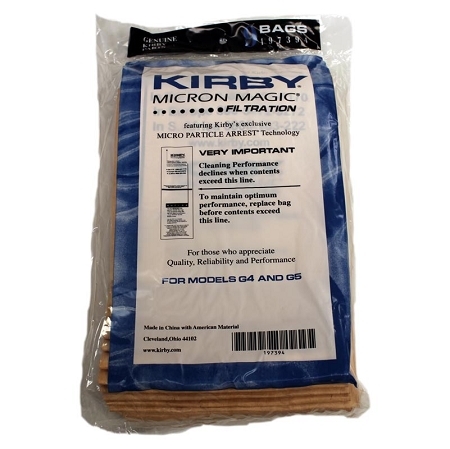 Micron Magic Bags with Micro Particle Arrest One 9 pack for 9 bags total Genuine Product OEM 197394. This is the twist and lock type system. These vacuum bags are also available in a 36 pack. 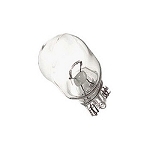 This site always has items on hand and ships out quickly. I'm very happy with the quality of the items and their promptness. The vacuum bags are better than the previous one I used. Less dust and odor. Use these bags a lot...I have 3 grown boxers and there is a lot of hair so using these bags helps a great deal. I totally recommend this product. Hade the exact bags I needed, at a great price! And delivery was very fast. Even better than having to go out to a store to find them!! Ordering bags online is affordable and easy. Q: will these fit a ModelGsix? Q: Does this vacuum bag have the twist into place feature that securely attaches it to the vacuum? Q: I'm pretty sure these bags will fit our G3D, but just2 B sure?